Autunite is a greenish yellow fluorescent mineral. The crystals of this mineral often occur in tabular square form as it has a tetragonal crystal system. The uranium content causes this ore to have radioactive properties. This mineral tends to dry out forming meta-autunite-I, which in turn can be heated and converted into meta-autunite-II. 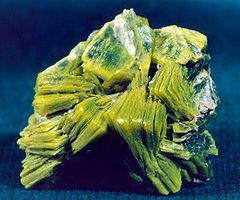 Due to this reason, Autunite is stored in tightly sealed containers preventing it from drying out. Autunite can be identified by its fluorescent greenish yellow color. The nitric acid (HNO3) solution of this mineral reacts with sulfuric acid (H2SO4) to produce precipitation of calcium sulfate (CaSO4). This reaction is useful for confirming the calcium content of this crystal. The formula for this mineral ore is Ca (UO2)2(PO4)2·10-12H2O. Appearance: It has a crystallized and transparent appearance. Color: This fluorescent mineral is greenish yellow in color. 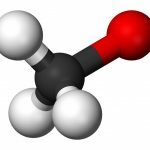 Molecular Weight: The molecular weight of this material is 986.26 gm/mol. Crystal System: its crystal system is tetragonal. Fracture: The crystals of this material are uneven. Hardness: The hardness of this mineral ranges between 2 to 2.5 on the Mohs scale. Luster: These crystals have vitreous-pearly luster. Specific Gravity: The specific gravity of this substance is somewhere between 3.1 and 3.2. Streak: The streak of Autunite is pale yellow. Radioactivity: This mineral has radioactive properties. It is mainly found in uranium-bearing pegmatites around the world. This mineral was first discovered near Autun, France in 1852. Presently it is found from the Daybreak Mine near Mount Spokane in Washington. Spruce Pine in North Carolina is another rich source of this material. It is also mined in Urgeiriça and Trancoso in Portugal and Mt. Painter in South Australia. This radioactive mineral is a fairly rich source of uranium with approximately 48.27% uranium content. 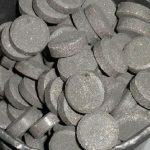 Due to this reason it is used as a uranium ore in various industries. It is also used as a mineral specimen. This crystallized mineral is available at mineral stores all over the world. One can also buy it online. The price for this mineral depends on the purity of the product. 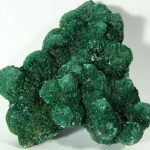 Autunite is an important mineral used in various industries. The fact that it is available all over the world makes it even more applicable for the purpose of producing uranium.